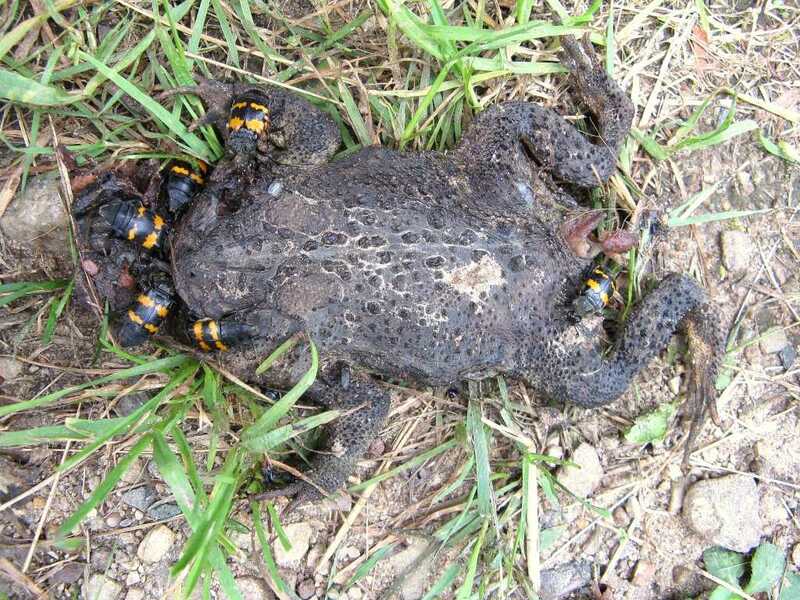 Ran across some carrion beetles chewing on a frog. Kinda gross, but not something I’ve not seen before. Beautiful bugs. There are even little tiny bugs on the big bugs.